France (French: [fʁɑ̃s]), officially the French Republic (French: République française, pronounced [ʁepyblik fʁɑ̃sɛːz]), is a country whose territory consists of metropolitan France in Western Europe and several overseas regions and territories. The metropolitan area of France extends from the Mediterranean Sea to the English Channel and the North Sea, and from the Rhine to the Atlantic Ocean. 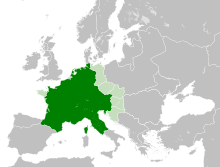 It is bordered by Belgium, Luxembourg and Germany to the northeast, Switzerland and Italy to the east, and Andorra and Spain to the south. The overseas territories include French Guiana in South America and several islands in the Atlantic, Pacific and Indian oceans. The country's 18 integral regions (five of which are situated overseas) span a combined area of 643,801 square kilometres (248,573 sq mi) and a total population of 67.3 million (). France, a sovereign state, is a unitary semi-presidential republic with its capital in Paris, the country's largest city and main cultural and commercial centre. Other major urban areas include Lyon, Marseille, Toulouse, Bordeaux, Lille and Nice. In France, career judges are considered civil servants exercising one of the sovereign powers of the state, so French citizens are eligible for judgeship, but so are all citizens of the EU countries. France's independent court system enjoys special statutory protection from the executive branch. Procedures for the appointment, promotion, and removal of judges vary depending on whether it is for the ordinary ("judiciaire") or administrative stream. Judicial appointments in the judicial stream must be approved by a special panel, the High Council of the Judiciary. Once appointed, career judges serve for life and cannot be removed without specific disciplinary proceedings conducted before the Council with due process. The Ministry of Justice handles the administration of courts and the judiciary, including paying salaries or constructing new courthouses. The Ministry also funds and administers the prison system. Lastly, it receives and processes applications for presidential pardons and proposes legislation dealing with matters of civil or criminal justice. The Minister of Justice is also the head of public prosecution, though this is controversial since it is seen to represent a conflict of interest in cases such as political corruption against politicians. 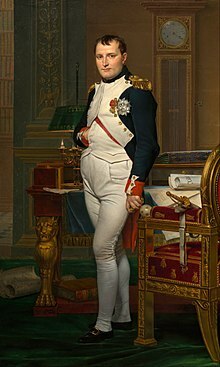 The First French Empire, officially the French Empire (French: Empire Français), was the empire of Napoleon Bonaparte of France and the dominant power in much of continental Europe at the beginning of the 19th century. Although France had already established an overseas colonial empire beginning in the 17th century, the French state had remained a kingdom under the Bourbons and a republic after the Revolution. Historians refer to Napoleon's regime as the First Empire to distinguish it from the restorationist Second Empire (1852–1870) ruled by his nephew as Napoleon III. The Ancien Régime (/ˌɒ̃sjæ̃ reɪˈʒiːm/; French: [ɑ̃.sjɛ̃ ʁeʒim]; French for "old regime") was the political and social system of the Kingdom of France from the Late Middle Ages (circa 15th century) until 1789, when hereditary monarchy and the feudal system of French nobility were abolished by the French Revolution. The Ancien Régime was ruled by the late Valois and Bourbon dynasties. The term is occasionally used to refer to the similar feudal systems of the time elsewhere in Europe. 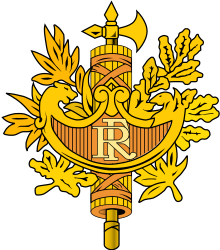 The administrative and social structures of the Ancien Régime were the result of years of state-building, legislative acts (like the Ordinance of Villers-Cotterêts), internal conflicts, and civil wars, but they remained and the Valois Dynasty's attempts at re-establishing control over the scattered political centres of the country were hindered by the Huguenot Wars (or Wars of Religion). Much of the reigns of Henry IV and Louis XIII and the early years of Louis XIV were focused on administrative centralization. 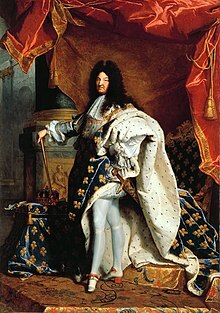 Despite, however, the notion of "absolute monarchy" (typified by the king's right to issue lettres de cachet) and the efforts by the kings to create a centralized state, the Kingdom of France retained its irregularities: authority regularly overlapped and nobles struggled to retain autonomy. ... that Camilla Nylund appeared as the Countess in Capriccio by Richard Strauss at the Frankfurt Opera, staged by Brigitte Fassbaender, who set the opera in Occupied France? ... that after murdering his mistress and her daughter in Ughill Hall, Sheffield, Ian Wood absconded to France and threatened to jump off Amiens Cathedral? ... that when the English surgeon Frances Ivens joined the military hospital at Royaumont in France during the First World War, she had no experience in treating men? ... that Estelle Cascarino represented France at the under-19 and under-20 levels in international tournaments in the same year? ... that Jean-François Bony designed fabrics for the rulers of France before, during, and after the French Revolution? Do you have a question about France that you can't find the answer to? For editor resources and to collaborate with other editors on improving Wikipedia's France-related articles, see WikiProject France.